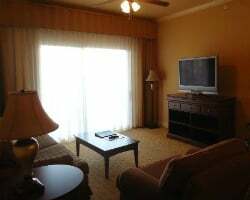 *Bluegreen Vacations Lake Eve* offers a peaceful and natural setting removed from the hustle and bustle of the crowded resort areas, yet is conveniently located within miles of Little Lake Bryan, SeaWorld Orlando, and the Orlando Premium Outlets Vineyard Ave. This all suite resort features one, two and three bedroom suites each comfortably furnished with a kitchen, living room, balcony and separate bedrooms. 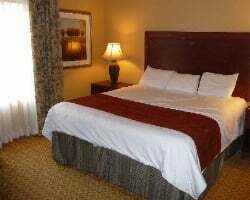 Guests can enjoy the onsite restaurant, fitness center, pool, spa tub, free WiFi in public areas and more! For more information, visit www.ascendcollection.com. Highly motivated Seller! Use points anywhere in the Blugreen network! Buyer may receive a title fee credit, inquire for details! 8,000 odd year points! Points can be used anywhere in the Bluegreen network! Buyer may receive a title fee credit, inquire for details! Price lower!9,000 biennial odd points! Seller has 4000 additional points that are good from May 2018 - May 2019! Buyer may receive a title fee credit! 15,000 annual points! Points can be used anywhere in the Bluegreen network! Buyer may receive a title fee credit, inquire for details! Use 5,000 points each year to stay anywhere in the Bluegreen network! Buyer may receive a title fee credit, inquire for details! 39,000 points available now! Use points anywhere in the Bluegreen network! Buyer may receive a title fee credit, inquire for details! 13,000 annual points! Points can be used anywhere in the Bluegreen network! Buyer may receive a title fee credit, inquire for details! Sale includes traveler's plus paid up till Feb 28th, 2016 & 6,000 additional banked pts! Buyer May Receive A Title Fee Credit, Inquire For Details! Sale Includes 4,000 Biennial Odd Bluegreen Points! Make An Offer Today! Sale includes 3,000 biennial odd Bluegreen points! Make an offer today! Just Reduced! Includes free cruise ask for details and 9,000 points available to use now! Buyer May Receive A Title Fee Credit, Inquire For Details! Many locations available throughout the Bluegreen network! Buyer May Receive A Title Fee Credit, Inquire For Details! Points available for immediate use! Sale includes 6,000 biennial odd points to use in Orlando or any other Bluegreen resort location! 3,000 annual points! 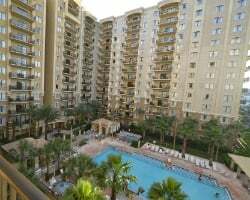 Stay in Orlando or anywhere in the Bluegreen network! Buyer may receive a title fee credit, inquire for details! Enjoy 10,000 annual points and the flexibility to stay anywhere in the Bluegreen network! Buyer may receive a title fee credit, inquire for details! 1,000 annual points! Points can be used anywhere in the Bluegreen network! Buyer may receive a title fee credit, inquire for details! 6,000 pts. available for use this year! Points can be used anywhere in the Bluegreen network! Buyer may receive a title fee credit, inquire today! Price Negotiable! Points can be used anywhere in the Bluegreen network! Buyer may receive a title fee credit, inquire for details! Motivated seller. 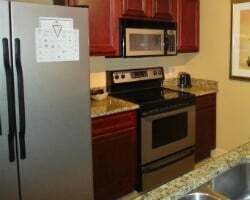 Minutes away from theme parks, dinning, and more! Buyer may receive a title fee credit, inquire for details! Sale Includes 2 free weeks for 3 consecutive years at any Bluegreen location! Points can be used anywhere in the Bluegreen network!!! Inquire now! Price Negotiable! 7,000 annual points! Points can be used anywhere in the Bluegreen network! Buyer may receive a title fee credit, inquire for now!